Woo-hoo! 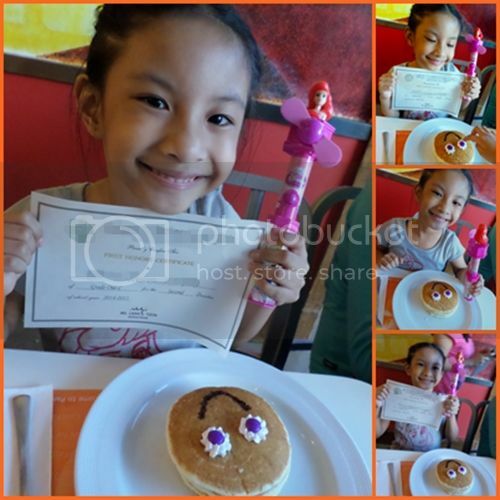 I was finally able to take the kids to Pancake House for their #GetHappy treats! Promo started a couple of months ago but our sched’s been swamped and there just wasn’t any time to swing by PH. Since they were given their Honors Certificates for the Second Quarter last Thursday, we brought those along yesterday. Upon ordering, I found out that they were supposed to sign the back of the certificate or test paper. Our server though was nice enough not to write anything on their certificates since both were printed on parchment paper. He was also nice enough to tell me that even just quiz papers or test papers with perfect scores could earn the little ones free small soldiers. What are you waiting for? 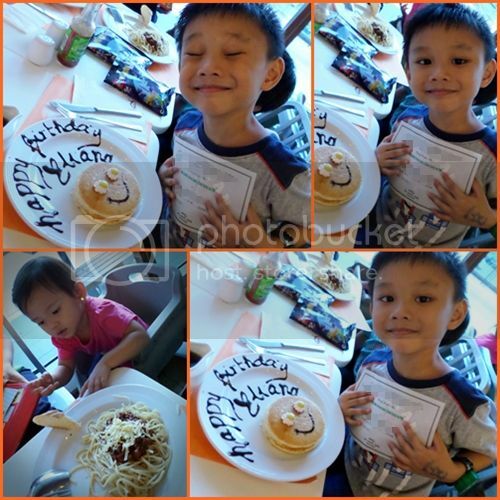 Head on over to your fave Pancake House branch to get your little ones their #GetHappy treats! Make sure you bring their honors certificates, report cards, aced quizzes/tests, and whatever other awards or recognition they have received in school. 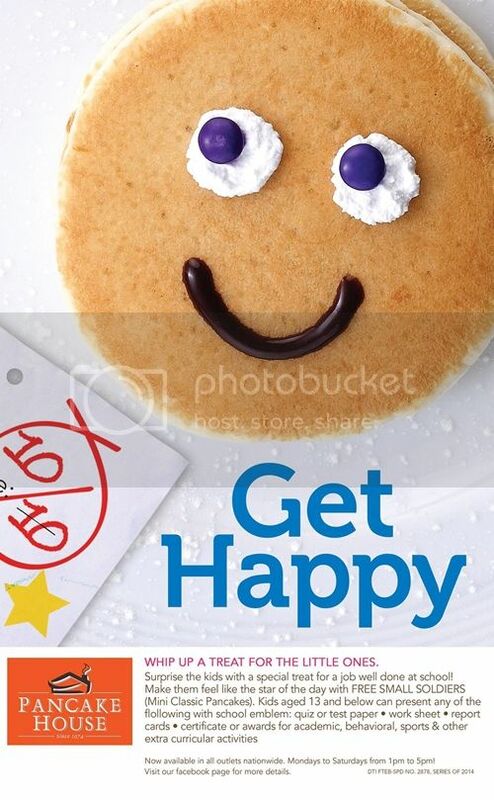 It’s time to Get Happy! – Quiz, Test Paper/ Worksheet/ Report cards with excellent grades. – Recognition, certificate or awards for academic, behavioral, sports and other extracurricular activities. 4. Child must be accompanied by a paying adult. 5. One FREE item per student/ transaction. 6. Child to present a valid school ID or any proof to validate eligibility.